For no other reason than it made me laugh. What's the subtext on this? 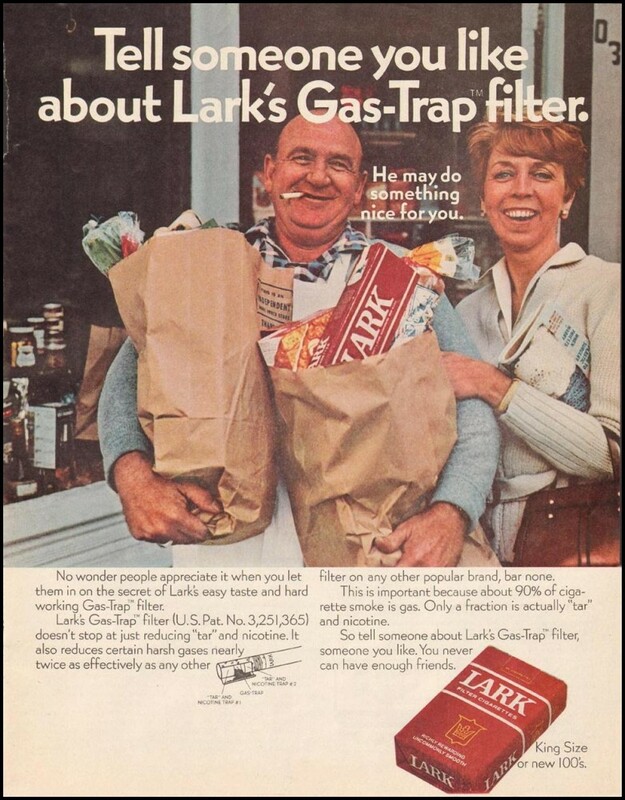 Tell someone about our cigarettes, and maybe they'll buy you groceries! AW YEAAAAAAAAAAA! Bugger all this for a Lark? No thank you. Ah, I forgot all about the mod post! Shame on me. I might just do that, thanks! Man, I hope he doesn't ash on the vegetables. They look like stunt doubles for Ed Asner and Carol Burnette. Okay, I'll say it: Gas-Trap filter.